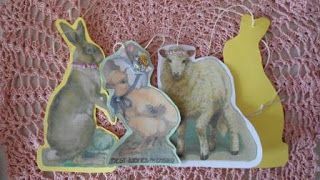 With all of the dreary grey and wet weather that's been around lately, I'm really looking forward to Spring and making these decorations has started to get me in the Spring mood. I've printed vintage images onto good quality, matte photographic paper and then added a little embroidery to each one. 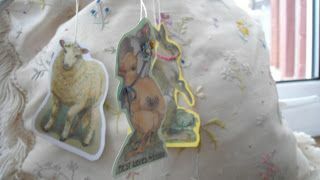 These were then attached to card and I added a hanger made from vintage cord. 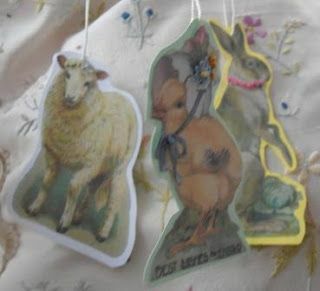 Packs containing a rabbit, sheep and a bonnet wearing chick are now available in my newly opened Etsy shop.